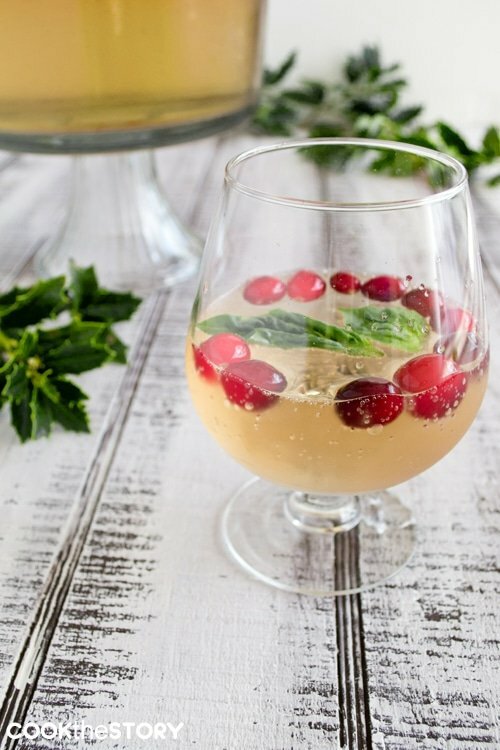 With champagne or sparkling wine as a base, and ginger ale and orange liqueur as the finishing touches, this is not as potent as cocktails can be. It’s not very sweet, but lovely just the same, and pefect for parents to sip whilst wrapping their children’s Christmas presents on Christmas Eve. Pour the sparkling wine into a punch bowl. Slowly add the ginger ale and the orange liqueur. Add the basil and frozen cranberries (if using) or a few handfuls of ice.